“Live all you can; it’s a mistake not to.” Henry James, The Ambassadors. Five ambassadors, five host families, five days in Dresden. 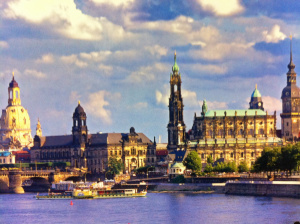 Dresden Sister City, Inc., which was “organized for the purposes of causing the people of the City of Columbus and the people of the City of Dresden to understand one another as individuals, as members of their community, as citizens of their country, and as part of the family of nations”, chose five ambassadors and five host families to represent our cities for five days as part of their Dresden Marathon Exchange. 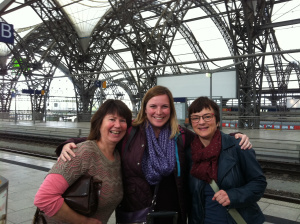 Throughout the day on Thursday October 16, 2014, my fellow ambassadors Jamie Glavic, Krista Seibert, Sarah Criss McQuade, Shekhar (Shake) Mahajan, and I, were greeted by our hosts as we arrived in Dresden, Germany. 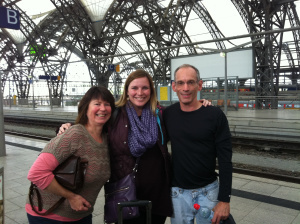 Jamie and I traveled by train from Berlin and were met by Jamie’s host Gundula Glasel, and my host Katrin Lay.